Last week, Arun and I did a workshop at a career fair for ITI graduates, which took place at Freedom Park (Bangalore). It was organized by Quest Alliance, an NGO that works with Design in Education mainly with students from ITI’s (Industrial Training Institutes). ITI’s are government-run colleges that provide students with the basic skills to do the job of, say, an operator or craftsman. As with any other engineering institutes, ITI’s (or any institute, for that matter) are plagued by the usual issues of teaching being imparted soullessly, as a means to a lievelihood, and without any idea of individuality of the student. 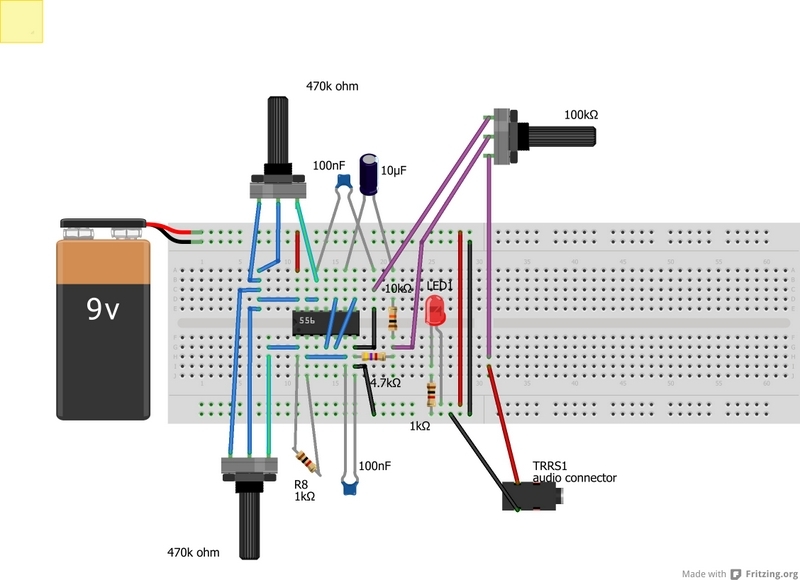 After initial ideas flitting around doing an arduino workshop with them where they’d learn the necessary skills of using the arduino environment and basic prototyping techniques, we decided we weren’t quite experts in the field ourselves, and tried a new track. We began with a simple demonstration of the DIY webcam microscope, as a sort of icebreaker. It got their attention, but the number of times I practised that routine beforehand made the sensor get all foggy, which did dampen its impact somewhat. After seeing a couple of fuzzy pixels on my laptop screen, we progressed to showing them some stuff we’ve worked on as Ternup, from our low-cost water testing kit (Caddisfly), and the simple colour sensor hack we based it on, to our DIY rain gauge using piezo discs as contact microphones, just to give an idea of some basic technology that could make a difference if just used a little differently. They seemed pretty intrigued by the contact mics, as they associated the parts with the buzzers that are usually found in toys and greeting cards . Since we had finally segued into the topic of making a potential racket, it was time to get down to making synths. 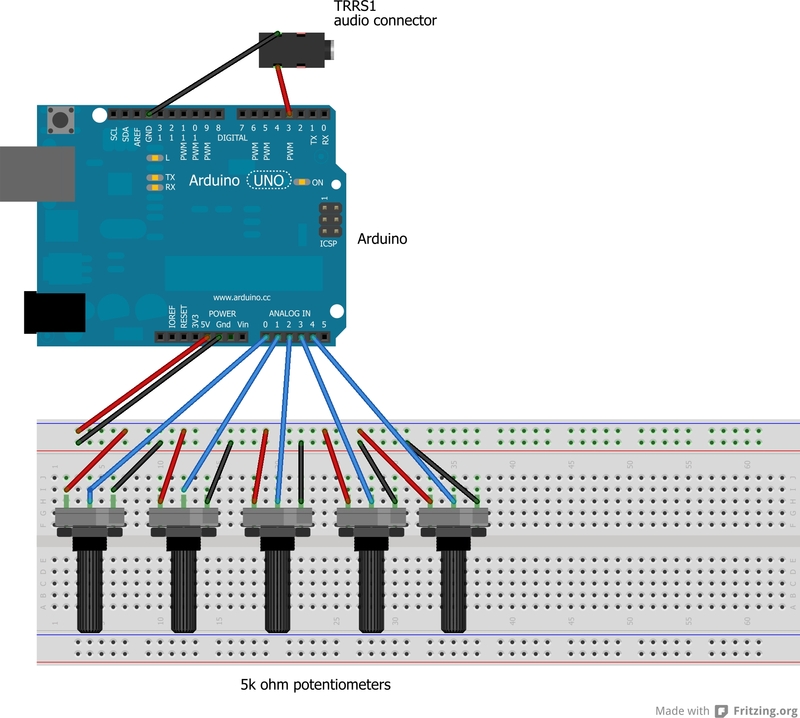 We had a bunch of students who had no idea about electronics, so we skipped most of the techy bits of the presentation, and had them try to make the arduino synth – the Auduino. The circuitry required to set it up is extremely basic, just a few pots and wires (the fun stuff happens in the code) so they managed to connect it up fairly quickly and listen to their instruments as well (they seemed to be in a hurry to be elsewhere). We gave the to-be-engineers (who had done soldering, and were used to working with breadboards and building basic circuits) an analogue synth called the Atari Punk Console. It’s pretty easy to make, although not simple enough for the two hour long session we had. I forgot that, as with any other circuit, it required approximately the same amount of time to troubleshoot it as to make it. They did get a few wheezy squeaks out of the badly grounded circuit, though. At the end of it a couple of them came up and asked me to give them the circuit diagrams so they could try making it at home. Anyhow, they left mostly without the expression that we had irreplacably stolen 2 hours of their life, so I guess that went well. For a first workshop along these lines for either of us, perhaps more so.